A market leader in work, intern and volunteer abroad programmes, BUNAC provides the unique opportunity to spend an extended time living, working and travelling overseas. BUNAC’s key markets are the UK and USA with flagship programme is Intern in Britain, allowing non-EEA students the chance to undertake an internship in the UK for up to 6 months. Other opportunities include a summer camp programme in the USA, flexible working holiday programmes in Canada, Australia and New Zealand, as well as volunteering placements in Africa, Asia and America lasting from as little as 18 days through to two years. 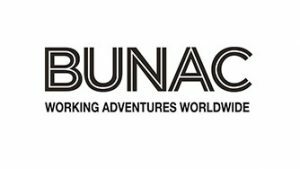 Established in 1962, BUNAC has enabled hundreds of thousands of travellers to explore the world through work and travel and is today recognised as a specialist in the field of overseas work and travel programmes.